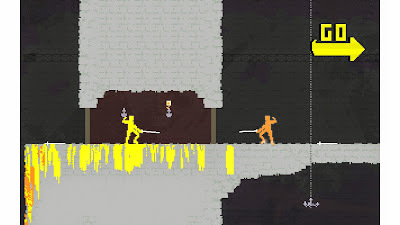 Nidhogg is a 2D fencing game where your goal is to get to your end of the stage before your opponent gets to his/her end. 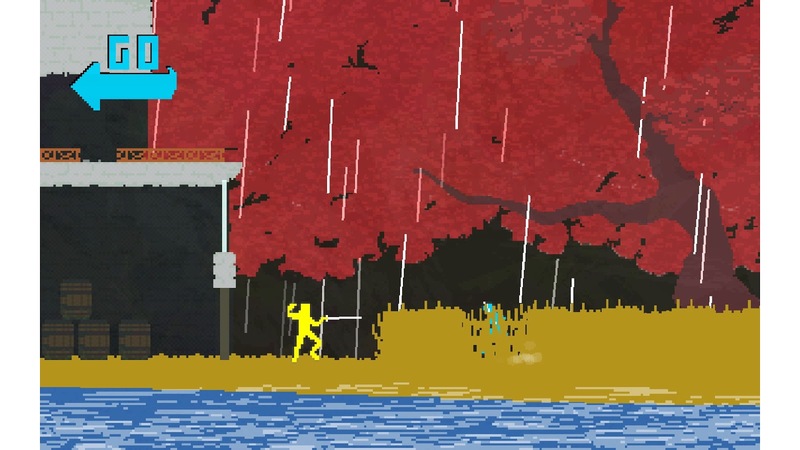 Some available options to tweak: "Boomerang Swords,"
"Trails," "Time Limit," "Divekicks," and "Throws." With each stage made up of several segments, advance by outwitting your opponent and/or by killing him/her. Of course, while killing an opponent will allow you to advance closer towards your end, your opponent will shortly respawn so plan accordingly! 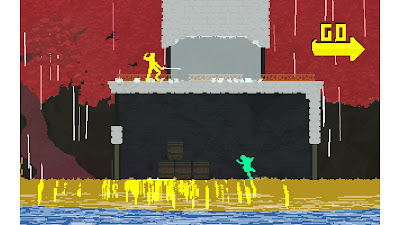 As a friend of mine pointed out, Nidhogg suffers from a limited number of stages (four). While some game options can be tweaked to provide some variety, it may not qualify paying the game's $14.99 price tag. In fact, one might even be reserved about paying $3.75 (75% off) for it. With that being said, the core gameplay and fighting mechanics is quite complex and enjoyable. In particular, the number of strategies that one can use are countless. Fighting in the grass is quite challenging. 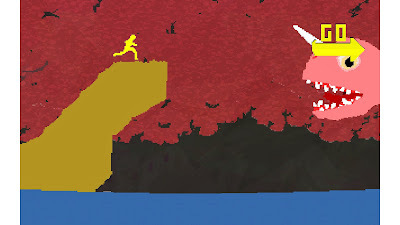 If then, one considers the pure dueling aspect of the game, then perhaps the limited number of stages is unimportant. To further illustrate this point, we don't really complain about the lack of stages when it comes to other sports such as soccer, football, or basketball. * In particular, sport fencing is conducted along a linear strip. *The one sport that does arguably have different stages is baseball. Baseball parks only have to adhere to regulations for specific parts of the field. In Nidhogg, even the winner is a loser. In the end, I personally think this game is worth grabbing for $3.75 or under, though anything in between $3.75 and $15 is questionable. Today I played and beat the singleplayer game. 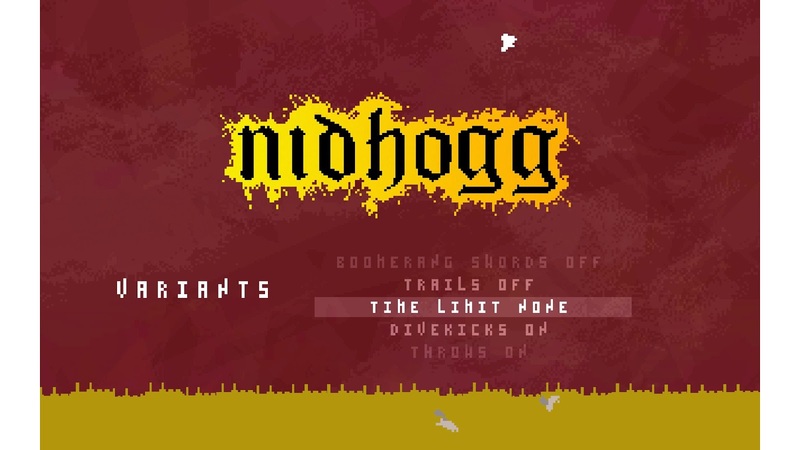 Today, my friends Josh, Michael, Ryan, and I briefly play Nidhogg. We take turns and eventually we do a little four-person tournament. 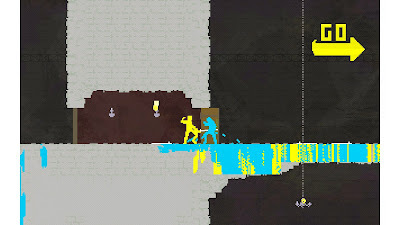 I did, however, have the slight upperhand from having played the game just a bit more than my friends. 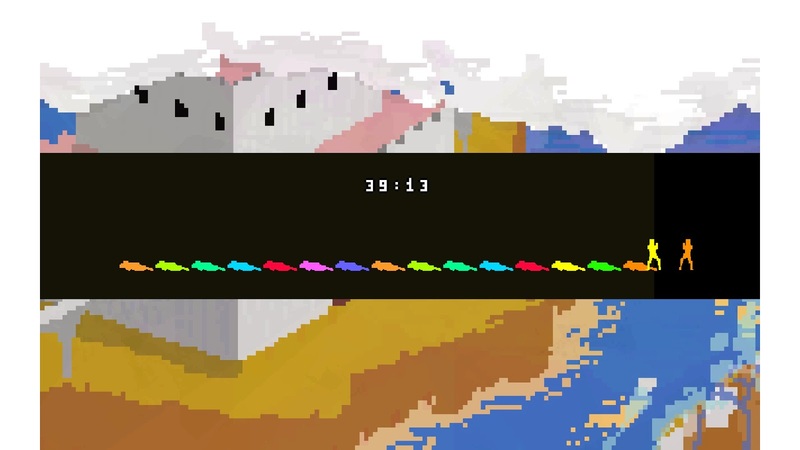 Almost done with the single-player! 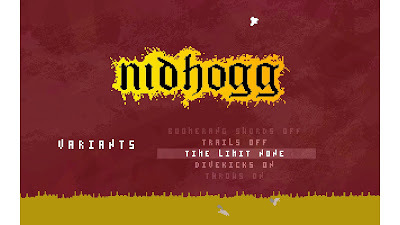 Today I played a little more Nidhogg. I played the single player mode, which is a great place to pick up strategies. 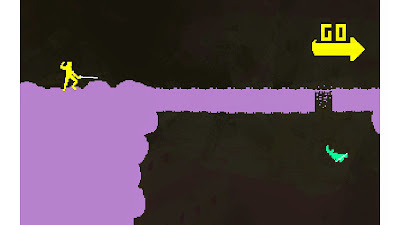 For example, I totally forgot that keeping your sword high is vulnerable to a rolling attack. On the other hand, keeping your sword low is vulnerable to a sword toss. In general, most moves have a counter if the timing is right, and the A.I. kindly reveal these strategies to me. bridges - unless you want to fall to your death.